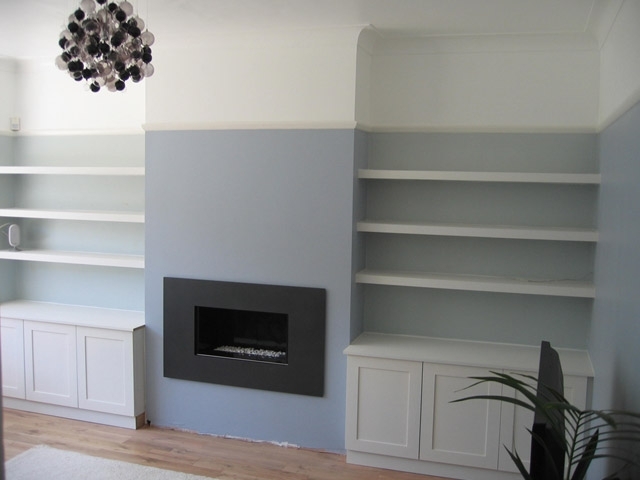 We have experience making bespoke handmade fitted alcove units and floating shelves to any design and size that you wish, and in a range of different types of wood, from oak and walnut to spray-painted MDF. 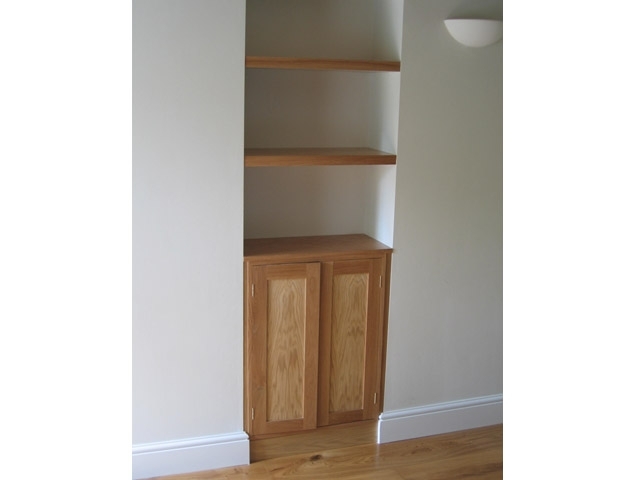 On this page you can see some examples of bespoke designs of alcove units; some with doors and some with drawers and all designed for different purposes. 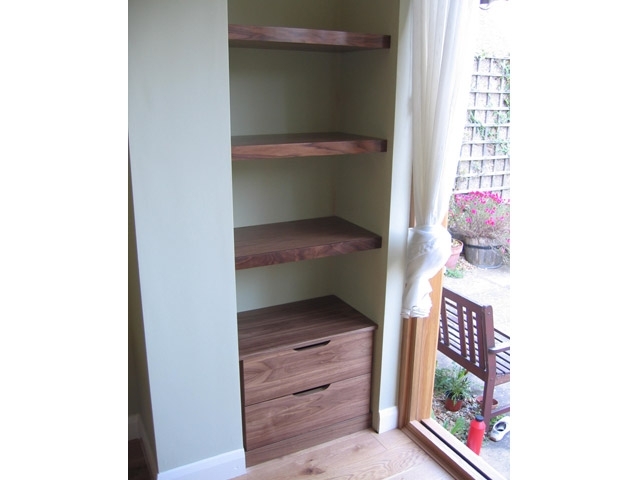 Some of the alcove units you see here were installed in homes in Brighton and North and West London. 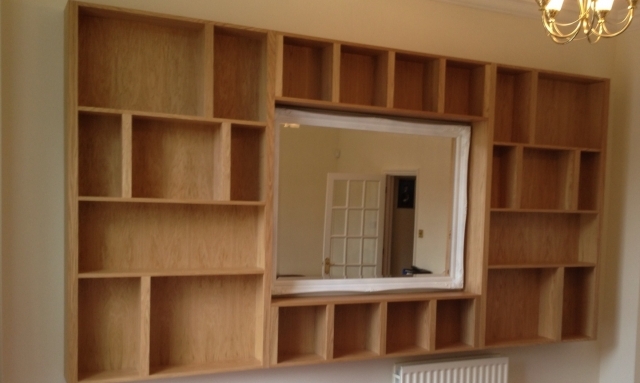 If you don't see what you are looking for here, contact us - we can make your dream furniture a reality. 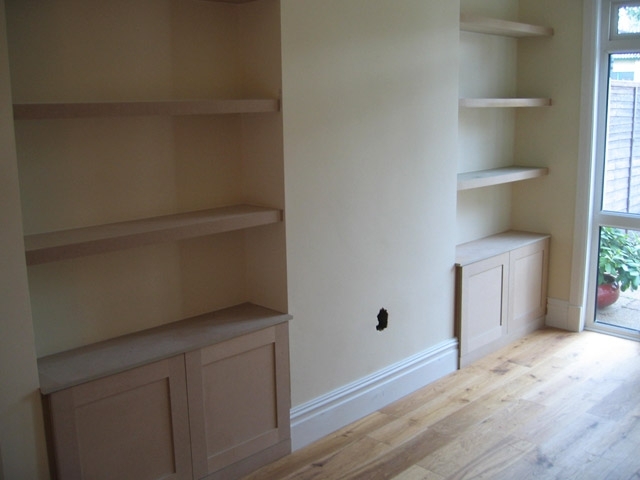 If you would would like a bespoke handmade alcove unit or floating shelves designed and made by Bourne's Fine Furniture, contact us and speak to Ian Bourne. 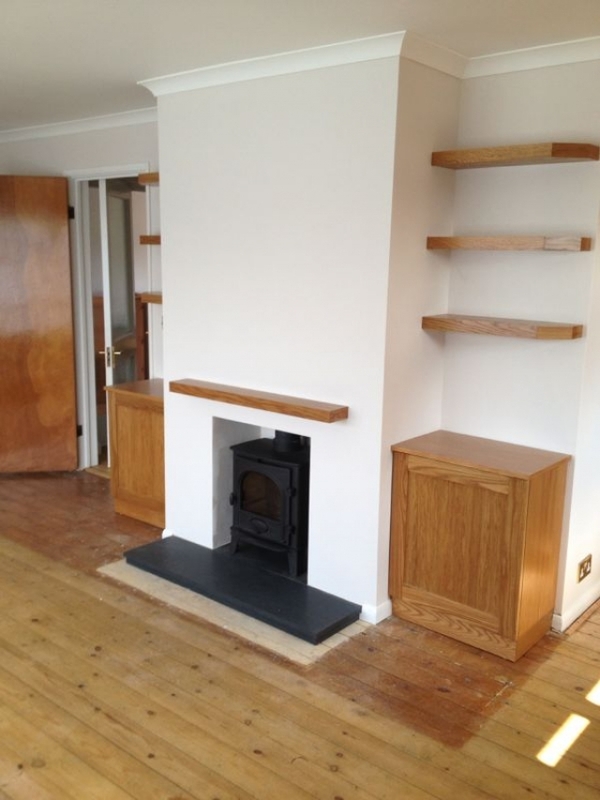 We are very happy to recommend Bourne Fine Furniture. From the very beginning they showed in-depth knowledge and professionalism. They provided good advice and creative ideas, working hard to find the best solution for our budget and the quality of work speaks for itself. The overall customer experience was faultless.